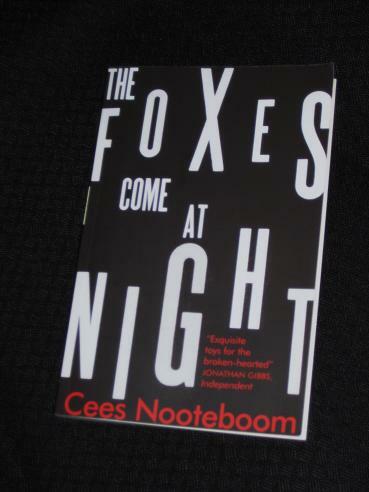 The Foxes Come at Night (translated by Ina Rilke) is a short collection of eight stories, first published in Dutch in 2009. The pieces are very much thematically linked, with Nooteboom using the collection as an opportunity to examine age, memory and reflections on the past, usually from the perspective of a character remembering a lost partner or friend. While many stories focus on those who have departed, others focus more on the fate of those left behind. In ‘Late September’, an elderly woman on an out-of-season Spanish island waits for some afternoon delight in the arms of a (slightly-) younger local, an event which feels more like a transaction than real pleasure. Once again, the living must realise that there is no point in dwelling on the actions of the long dead. Enjoyed the review. Just read 'Gondolas' and had to reread: it's haunting and subtly moving. Looking forward to reading the rest of the collection.